World Diabetes Day is celebrated every year on November 14. It was introduced by the International Diabetes Federation (IDF) and the World Health Organization (WHO) in 1991 in response to concern over the escalating incidence of diabetes around the world. Since then, the event has grown in popularity every year and engages millions of people worldwide in diabetes advocacy and awareness. Insulin is a hormone made by the pancreas. It allows glucose from the food we eat to pass from the blood stream into our bodies’ cells to produce energy. All carbohydrate foods are broken down into glucose in the blood. 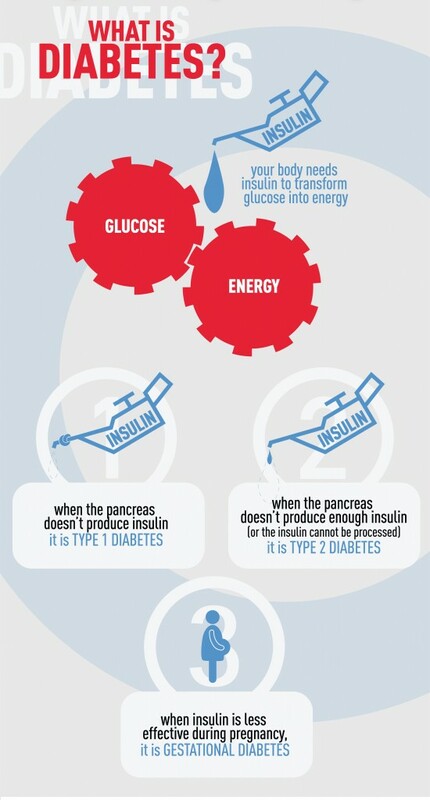 Insulin helps glucose get into the cells. Diabetes is a chronic disease that occurs when the pancreas is no longer able to make insulin, or when the body can’t make good use of the insulin it produces. Not being able to produce insulin or use it effectively leads to higher glucose levels in the blood (known as hyperglycemia). Over a long period of time, high glucose levels are associated with damage to the body and failure of various organs and tissues. The development of type 1 diabetes is usually sudden and dramatic. 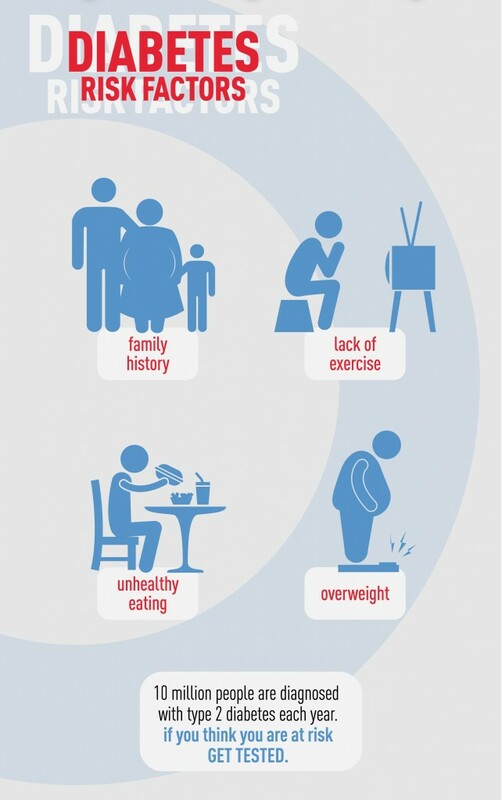 Symptoms can often be mild or absent in people with type 2 diabetes, making this type of diabetes difficult to detect. If you show these signs and symptoms, consult a health professional. The risk factors for type 1 diabetes are still being researched. Having a family member with type 1 diabetes slightly increases the risk of developing the disease. Environmental factors and exposure to some viral infections have also been linked to the risk of developing type 1 diabetes. Changes in diet and physical activity related to rapid development and urbanization have led to sharp increases in the number of people developing diabetes. Pregnant women who are overweight, have been diagnosed with IGT, or have a family history of diabetes are all at increased risk of developing gestational diabetes (GDM). Additionally, having been previously diagnosed with gestational diabetes or being of certain ethnic groups puts women at increased risk of developing GDM. There is a lot of evidence that lifestyle changes (achieving a healthy body weight and moderate physical activity) can help prevent the development of type 2 diabetes. Obesity, particularly abdominal obesity, is linked to the development of type 2 diabetes. Weight loss improves insulin resistance and reduces hypertension. People who are overweight or obese are encouraged to achieve and maintain a healthy body weight. 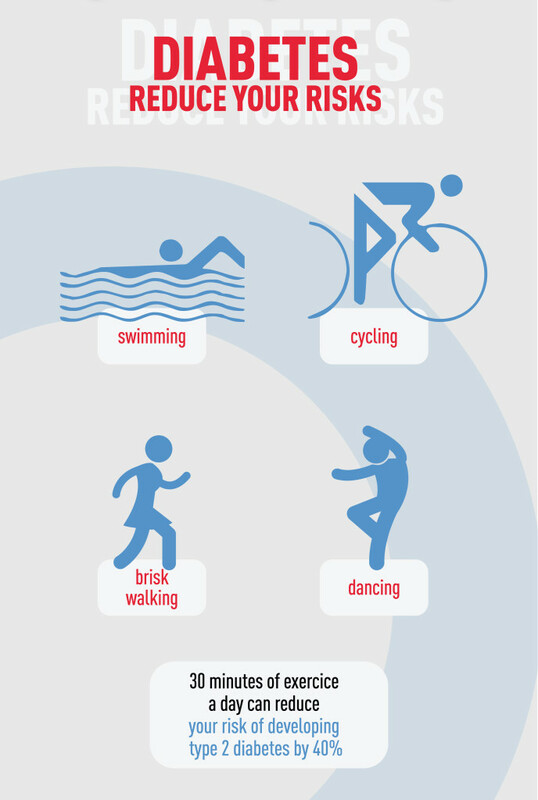 Physical activity is key to the prevention of diabetes. Increased physical activity is important in maintaining weight loss and is linked to reduced blood pressure, reduced resting heart rate, increased insulin sensitivity, improved body composition and psychological well-being. A balanced and nutritious diet is essential for health. A healthy diet reduces risk factors for cardiovascular diseases. Smoking is a well-established risk factor for many chronic diseases, including diabetes and its complications. As well as other harmful effects, smoking increases abdominal fat accumulation and insulin resistance. All smokers are encouraged to quit smoking. However, weight gain is common when quitting smoking and therefore dietary advice on avoiding weight gain should also be given (e.g. managing cravings and withdrawal symptoms by using short bouts of physical activity as a stress-relief activity, rather than eating snacks). There is evidence of a link between depression and both diabetes and cardiovascular disease. Both short (<6h) and long (>9h) sleep durations may be associated with a higher risk of developing type 2 diabetes. Sleep deprivation may impair the balance of hormones regulating food intake and energy balance. Long sleep durations may be a sign of sleep-disordered breathing or depression and should be treated appropriately. There is also a close association between obesity and obstructive sleep apnea syndrome (OSA), the most common form of sleep disordered breathing. Myth: Diabetes only affects old people. Truth: Diabetes affects all age groups. Myth: Diabetes is not a killer disease. Truth: Diabetes is a global killer, rivaling HIV/AIDS in its deadly reach. The disease kills more than 4 million people a year. 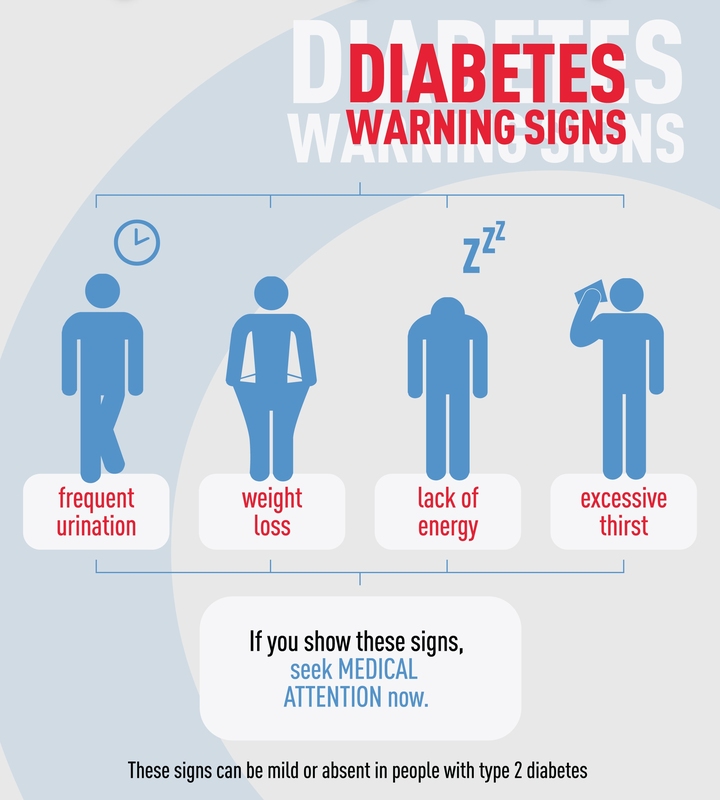 Every 7 seconds a person dies from diabetes-related causes. Myth: Diabetes predominantly affects men. Truth: Diabetes affects both men and women, and is rising among women. It is also increasing dramatically among youth and threatening to decimate indigenous populations. Myth: Diabetes can’t be prevented. Truth: Up to 80% of type 2 diabetes is preventable by changing diet, increasing physical activity and improving the living environment. Myth: Diabetes only affects rich countries. Truth: Diabetes hits all populations, regardless of income. It is becoming increasingly common everywhere. Myth: Diabetes care isn’t costly. Truth: Diabetes care is costly and has the potential to cripple any healthcare system. Myth: Diabetes prevention is too expensive. Truth: Many inexpensive and cost-effective interventions exist. Proven strategies for improving the living environment, changing diet and increasing physical activity can reverse the pandemic. Click here to see diabetes facts and figures. Do you know your risk of diabetes? Take the Blue Circle Test to find out.